After the then-NY Daily News owner who employed one of the Democracy Now! show’s co-hosts for over two decades expressed his support, in a late 2008 television interview, for using public funds to bail out the Wall Street banks, whose involvement in unethical subprime mortgage lending helped trigger the Great Recession of 2008, Wayne Barrett noted, in a Nov. 25, 2008 Village Voice article, that “when Zuckerman isn’t running his media properties…he’s the chairman of Boston Properties, the largest office real estate company in the country;” and “that Citigroup rents more than a million square feet from Zuckerman’s company — trailing only the federal government and Lockheed Martin on its list of top 20 tenants.” So one reason Mort Zuckerman argued on television that “we cannot allow a major institution like” Citigroup “to collapse,” and his NY Daily News newspaper argued in an a November 2008 editorial that the U.S. government should “prevent major banking houses like Citigroup from collapsing,” was apparently because the commercial rental income that Zuckerman’s real estate dealmaking firm gained from its Citigroup tenant would be lost if Citigroup, despite having made $300 billion in unethical “toxic” subprime mortgage-related loans, was allowed to collapse, according to Barrett’s Voice article. 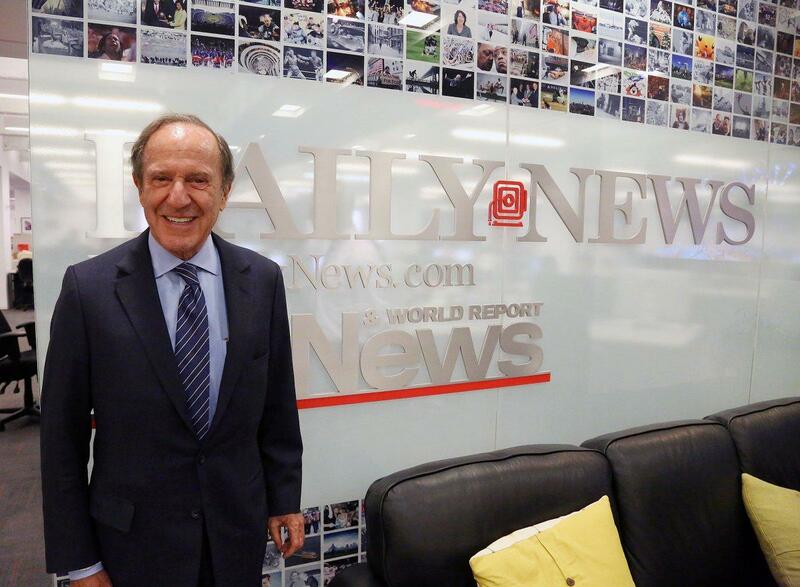 When Zuckerman had purchased his NY Daily News newspaper in 1993 for $36.3 million [equal to over $64 million in 2018], his personal worth was then $265 million [equal to over $468 million in 2018]. And during the 20 years that the weekly salary of the part-time co-host of the “parallel left” Democracy Now! show was being provided by Zuckeman’s tabloid corporate newspaper, Zuckerman’s personal wealth increased to around $2.8 billion by early 2018. But, not surprisingly, not many news segments examining how Zuckerman, who also sat on the board of trustees of both NYU and New York City’s WNET-TV affiliate of PBS during these two decades, was accumulating more personal wealth through his commercial real estate dealmaking firm while the gentrification of the Big Apple intensified, were apparently aired or broadcast on a sustained, regular basis by the Democracy Now! producers during these two decades. Yet in just the one year alone of 1999, the gross profits of the NY Daily News owner’s Boston Properties’ firm jumped by 50 percent. After moving into his NY Daily News office in early 1993, Zuckerman immediately “fired 180 out of 540 members of the Newspaper Guild” at the NY Daily News, “axed two-thirds of the African-American reporters, including all Black males,” and “dismissed [the now-deceased] veteran reporter Dave Hardy, who was one of the Black journalists who won a racial discrimination suit against the newspaper in 1987” when it was still owned by the Tribune media conglomerate, according to the Daily News Workers Campaign for Justice. So, not surprisingly, the Daily News Workers Campaign for Justice then urged people in New York City to boycott Zuckerman’s NY Daily News in 1993. Yet one of the “parallel left” Democracy Now! show’s co-hosts continued to work as a columnist for Zuckerman’s newspaper until 2016; in the year before Zuckerman, a Canadian immigrant, who didn’t become a U.S. citizen until he reached the age of 40 in 1977, finally sold the NY Daily News in September 2017, while still continuing to own his U.S. News & World Report corporate media outlet. A year after the Carnegie Corporation of New York gave Pacifica the $25,000 grant in 1996 to launch the Democracy Now! show, the J.M. Kaplan Fund foundation, in 1997, gave Pacifica a $13,000 [equal to over $20,000 in 2018] to “support Democracy Now! show;” and in 1998 an additional $10,000 [equal to over $15,000 in 2018] grant to help fund Democracy Now! was given to Pacifica by the J.M. 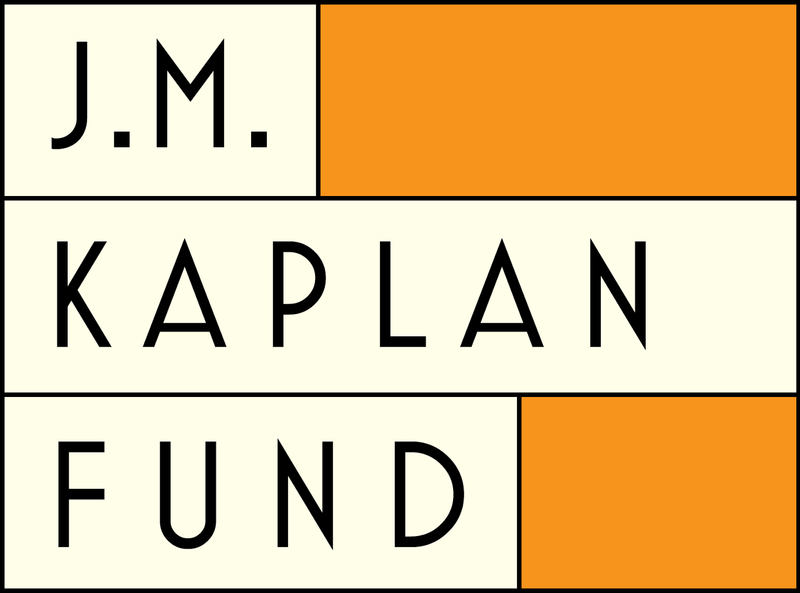 Kaplan Fund foundation. And, not surprisingly, few radio or cable tv segments examining either how the J.M. Kaplan Fund’s founder obtained the money he needed to establish his foundation or how the J.M. Kaplan Fund historically acted as a conduit for the Central Intelligence Agency [C.I.A.] during the Cold War era were aired by Democracy Now! during the last two decades. “Charges that the J.M. Kaplan Fund Inc. of 55 Fifth Avenue has acted as a `secret conduit’ for transmission of funds abroad for the Central Intelligence Agency has met a wall of silence at the fund. “A copy of the report made by the Kaplan Fund…for 1963, however, shows an unexplained grant of $395,000 [equal to over $3.1 million in 2018] for that year to an Institute operated by a man who has long been identified with anti-communist causes in Europe and Latin America. The grant was by far the largest made by the Kaplan Fund last year in a total of $1,645,390 [equal to over $13.2 million in 2018]. The J.M. Kaplan Fund that gave Pacifica $23,000 in grant money in 1997 and 1998 to help fund Democracy Now! was established in 1945 by a former New School for Social Research/New School University board of trustees chair and former Freedom House trustee named Jacob “Jack” Kaplan, who lived between 1893 and 1987; and “much of its asset base came from the sale in the 1950s of the Welch Grape Juice Company, long headed by Mr. Kaplan, to a grape growers’ cooperative in New York State and Pennsylvania,” according to the J.M. 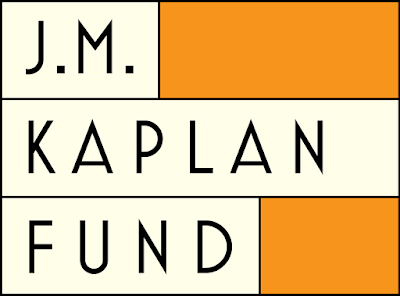 Kaplan Fund’s website. From the sale of his Welch Grape Juice Company corporate stock in 1956, for example, Kaplan received $28.5 million [equal to over $259 million in 2018]. In the 21st-century, the J.M. Kaplan Fund, that helped fund Pacifica’s Democracy Now! in late 1990s, was still controlled by members of Jack Kaplan’s family (whose last names were now more frequently “Davidson” or “Fonesca” rather than “Kaplan,” as a result of marriage by Kaplan’s daughters, including the oldest one, Joan Davidson, who still owned an 85-acre estate in Germantown, New York in 2013). In 2010, for example, eleven grandchildren, children or other relatives of Kaplan were each being paid between $4,000 and $9,000 for only 3 to 5 hours of “weekly work” sitting on the J.M. Kaplan Fund board of trustees, according to the foundation’s Form 990 financial filing for 2010. And in 2016, Kaplan’s surviving children and grandchildren were now being paid between $5,000 and $10,000 for only 3 to 5 hours of “weekly work” sitting on the J.M. Kaplan Fund’s board, according to the Form 990 financial filing for 2016. The market value of the J.M. Kaplan Fund’s assets in 2010 still exceeded $139 million, including its investments of over $72 million in limited partnership shares, over $56 million in corporate stock and over $800,000 in corporate bonds. Over $16 million of the foundation’s inherited wealth was now invested in Westgate Associates, over $13 million in Brookside Capital and over $8 million in Emerging Markets Growth Fund, for example, by the J.M. Kaplan Fund; and the dividends and interest obtained from the corporate securities owned by the “non-profit” foundation produced a net investment income of over $2.1 million in 2010. In 2010, the J.M. Kaplan Fund apparently used some of the money it obtained from investments in corporations that exploit working-class people and middle-class consumers around the globe to provide “charitable grants” to U.S. university book publishing firms like Princeton University Press, University of North Carolina Press and Penn State University Press, as well as to “parallel left” publishers like The New Press (which was given a $5,000 grant “for `The World According To Monsanto’), according to its 2010 Form 990 financial filing. And during that same year, the “non-profit” J.M. Kaplan Fund paid $459,000 to Brandywine Management Services “for investment services” (of apparently speculating with the foundation’s money on stock markets around the globe) and paid a total annual compensation of over $291,000 to the J.M. Kaplan Fund’s executive director, according to the same 2010 financial filing. In 2016 the market value of J.M. Kaplan Fund’s assets still exceeded $130 million, including the over $97 million it invested in hedge funds, according to its 2016 Form 990 financial filing. From its investments in the stocks and bonds of corporation and governments that still exploit working-class people and middle-class consumers around the globe, the J.M. Kaplan Fund received over $1.8 million in dividends and interests in 2016. According to the same 2016 financial filing, the market value of J.M. Kaplan Fund’s investment in the Brandywine Mutual Strategy hedge fund exceeded $54 million and the market value of its investment in the Brandywine Global hedge fund was over $35 million in 2016; and, in that same year, J.M. Kaplan Fund paid the Brandywine Management Company stock and bonds speculation firm $563,934 for its “investment services” on behalf of the “non-profit” foundation. NAHJ’s current president, Brandon Benavides, is the executive producer of the Good Morning San Antonio corporate media show of the Graham Media Group’s KSAT-12 television station in Texas. The Graham Media Group is a subsidiary of Graham Holdings, whose corporate board includes former Washington Post Company corporate media conglomerate CEO Donald Graham, former Washington Post newspaper CEO Katharine Weymouth, Columbia University President Lee Bollinger, former General Motors CEO Richard Wagoner, former Xerox CEO Anne Mulcahy, former Delaware Governor Jack Markel and a former vice-president for government affairs, Larry Thompson, of PepsiCo ( a U.S. corporation that also gave a contribution of $50,000 to the National Association of Hispanic Journalists in June 2011). Besides owning the corporate media television station that employs the NAHJ’s current president, Graham Holdings also owns the Slate Group corporate media firm that publishes both the Slate online magazine and Foreign Policy magazine. After receiving a $1 million grant from the Robert R. McCormick Tribune/Robert R. McCormick Foundation in 2004, the NAHJ also was later given a $100,000 grant by the Robert R. McCormick Foundation in 2010, according to the foundation website’s grants data base. The New York Daily News mainstream newspaper that former National Association of Hispanic Journalists [NAHJ] president Gonzalez began working for, eight years before Carnegie Corporation of New York foundation funds were used to launch the “parallel left” Democracy Now! daily news show that he co-hosted, had been owned by the Chicago-based Tribune corporate media conglomerate since--in imitation of British press baron Lord Northcliffe’s London Daily Mirror tabloid newspaper--the Chicago Tribune newspaper firm began publishing the tabloid newspaper in 1919. The newspaper remained linked to the Chicago Tribune until it was sold by the Tribune Company for $295 million [equal to over $543 million in 2018] to British global media baron Robert Maxwell in 1991; prior to the New York Daily News being subsequently purchased in 1993 for around $36 million [equal to around $63 million in 2018] by the neo-con real estate dealmaker and owner of U.S. News and World Report magazine, Mort Zuckerman--an opponent of full national self-determination rights for the Palestinian people and the U.S. anti-war movement’s Palestinian solidarity activism. 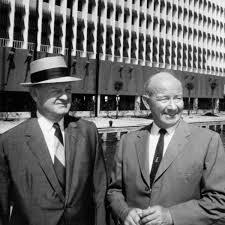 Between 1919 and his death in 1946, day-to-day management of the Chicago Tribune’s New York Daily News tabloid subsidiary was handled by Joseph “Captain” Patterson from his Manhattan office building; while his cousin, Robert “Colonel” McCormick—with whom Patterson had jointly managed the Chicago Tribune between 1914 and his 1919 move to New York City—continued, in an autocratic way, to manage the day-to-day operations of the Tribune in Chicago until McCormick died in 1955. After Robert “Colonel” McCormick died in 1955, leaving an estate of around $55 million [equal to over $507 million in 2018], the McCormick Charitable Trust/Robert R. McCormick Tribune Foundation was established; and the McCormick Patterson Trust—which then controlled the Tribune Company and its New York Daily News subsidiary—was placed under the control of this newly-established foundation for the next two decades, until the Tribune Company was reorganized in 1975. Then, in the early 1980s, the Tribune Company corporate media conglomerate was again re-organized; and in 1983 Tribune Company stock began to be sold to investors other than Tribune Company executives, members of the McCormick-Patterson dynasty or the Robert R. McCormick Tribune Foundation. The foundation may no longer have owned stock in the Tribune corporate media conglomerate after 2008. But in 2018 the Robert R. McCormick Foundation board chairman, former Tribune Company Chairman/CEO and current Northwestern University Trustee Dennis FitzSimons, still sat on the board of directors of corporate media firms like Time Inc. and Nexstar Media Group/Media General Incorporated, according to the foundation’s website; and in 2016, the over $1.2 billion in Robert R. McCormick Foundation assets included investments in hedge funds ($411.4 million), private equity funds ($164 million), international equity funds ($124.5 million), domestic equity funds ($63.1 million) and publicly-traded corporate stocks and bonds ($180.3 million), from which $35.5 million in investment income was obtained in 2016, according to the foundation’s 2016 Form 990 financial filing. The same Form 990 financial filing also revealed that the “non-profit” Robert R. McCormick Foundation paid former Tribune Company Chairman/CEO and current Northwestern University Trustee FitzSimons an annual compensation of $61,900 for working just 5 hours a week as the foundation’s board chair in 2016; and, for working just 4 hours a week, the four other members of the Robert R. MCormick Foundation board of directors each received an annual compensation of $55,000 in 2016. In addition, the Robert R. McCormick Foundation’s president/CEO, a former Los Angeles Times and Chicago Tribune corporate media ceo named David Hiller, received a total annual compensation of $550,000 in 2016; and at least 12 other executives of the same “non-profit” foundation also were paid total annual compensations that were well above $150,000 in 2016. Democracy Now! part-time co-host Juan Gonzalez’s career as a professional journalist in the corporate media world began in 1979 after his journalism course instructor at Temple University, who was a moonlighting editor at the Philadelphia Daily News evening newspaper of the Knight-Ridder corporate media firm, that also owned the Philadelphia Inquirer morning daily newspaper, encouraged Gonzalez to apply for a clerical job at the Philadelphia Daily News in late 1978; and he was soon promoted to be a full-time reporter for the newspaper by early 1979. Prior to merging with the super-rich Ridder dynasty’s newspaper chain in 1974, to create a newspaper chain of 35 daily and 25 Sunday newspapers that made Knight-Ridder the largest U.S. corporate newspaper chain at that time, the super-rich Knight dynasty had purchased its two Philadelphia newspapers from the super-rich Walter Annenberg’s corporate media conglomerate for $55 million [equivalent to over $369 million in 2018] in 1969. When Gonzalez began working for the Knight-Ridder corporate media firm’s Philadelphia Daily News in 1979, John “Jack” Knight and James "Jim" Knight owned 30 percent of Knight-Ridder’s stock, three Ridder dynasty members owned 7 percent of Knight-Ridder’s stock and the Knight-Ridder board of directors included John Knight, James Knight and the three Ridder dynasty members. And when Gonzalez left the Philadelphia Daily News between late 1987 and early 1988 to begin working for the New York Daily News (which was then owned by the Chicago-based Tribune corporate media conglomerate that also owned the WPIX-TV station in New York City), the Knight Foundation still owned a big chunk of Knight-Ridder stock, James Knight personally still owned 14 percent of Knight-Ridder’s stock, now worth about $439 million [equivalent to over $987 million in 2018], and the three Ridder dynasty members also continued to own Knight-Ridder newspaper chain stock. Then, when James “Jim” Knight died in February 1991, he also left $200 million [equivalent to over $318 million in 2018] to the Knight Foundation. Yet “the Foundation” was “not subject to federal income tax;” and only $26 million of the Knight Foundation’s $212 million increase in assets was redistributed to its grant recipients, according to the same annual report. Then, two years after accepting a “silver baton” duPont-Columbia award of the Jessie Ball duPont Fund-subsidized Alfred I. duPont Awards Foundation at the ceremony in Columbia’s Low Library, Goodman joined with a columnist of neo-con real estate developer Mort Zuckerman’s New York Daily News non-alternative, mainstream daily newspaper, Juan Gonzalez, to produce and co-host the new Democracy Now! daily radio news show that the Pacifica network launched in early February 1996—with the $25,000 in grant money Pacifica obtained from the Carnegie Corporation of New York foundation in 1996. Prior to being appointed Secretary of State by Bill Clinton in the early 1990s, former Carnegie Corporation of New York trustee Warren Christopher was the chairman of the “Clinton Transition Team,” that helped determine, before the Democratic president’s Jan. 20, 1993 inauguration, which people should be appointed U.S. federal government posts during the first term of the Clinton administration. Another early 1990s Carnegie Corporation of New York trustee, then-Goldman Sachs co-chair Robert Rubin, was appointed U.S. Treasury Secretary by Clinton in 1995, a year before the Carnegie Corporation of New York grant to launch Democracy Now! was given to Pacifica. According to the Carnegie Corporation of New York’s 1995 Annual Report, a $200,000 [equal to over $329,000 in 2018] grant was given between 1994 and 1995 to the WNYC Foundation on whose board sat then-Carnegie Corporation of New York trustee Wilma Tisch; and 5 grants, totalling $2.7 million [equal to over $4.4 million in 2018], were given during the same period to Stanford University, whose then-provost was Carnegie Corporation of New York trustee Condoleezza Rica and whose university board of trustees included then-Carnegie Corporation of New York trustee Henry Muller. Yet since 1996, Democracy Now! listeners and viewers have not been provided with much specific information about the role the Carnegie Corporation of New York and its trustees have, historically, played in U.S. political and economic life; or how the foundation’s board of trustees has, historically or currently, obtained and distributed its grant money. While continuing to write columns for the corporate media world’s New York Daily News mainstream newspaper and continuing to collect a regular paycheck from Zuckerman’s newspaper during the next two decades, Gonzalez also remained the part-time co-host on over 1,000 radio broadcasts of the “parallel left” Democracy Now! radio show during the same two decades; including the years after 2001 when it became a “parallel left” cable television show as well. And, not surprisingly, during the past twenty years, few radio or tv segments that were specifically critical or unflattering about either Mort Zuckerman, Mort Zuckerman’s specific historic real estate business operations or the specific news content of Mort Zuckerman’s stable of non-alternative media reporters were aired on Democracy Now!. “The teamwork forged between Zuckerman, [American-Israel Friendship League Chairman Kenneth] Bialkin, and the rest of the AIFL team coalesced almost two decades ago, when a high-level request came in. ``Sometime in the late ‘90s each of us was contacted by the [Israeli] consul general of New York to ask if we would come in to help with the promotion of the AIFL,’ Bialkin remembers. LBJ with 1992 duPont-Columbia award winner Bill Moyers in White House in late 1963. Between 1984 and the year before the future Democracy Now! 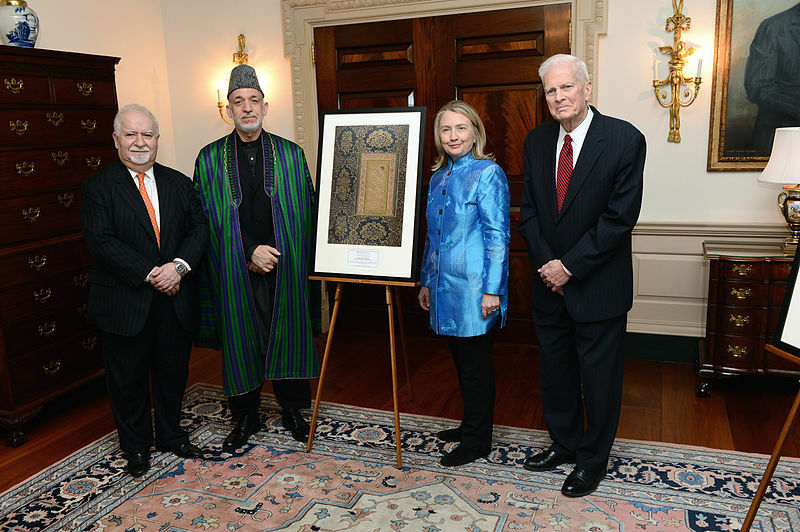 co-host, Amy Goodman, accepted her duPont-Columbia “silver baton” award at the 1994 Low Library ceremony on Columbia University’s campus, the former president of the CBS News corporate media organization, Bill Leonard, was the director of the Alfred I duPont—Columbia University Awards in Broadcasting Journalism program. In the same book, Leonard also noted that “in January 1965 I found myself a vice-president of CBS News” and was a CBS “vice-president of programming” who “was involved with everything at CBS News” between 1965 and 1975, when he then began representing the CBS media conglomerate’s special economic interests in Washington, D.C. as CBS’s vice president for government relations between 1975 and 1977. 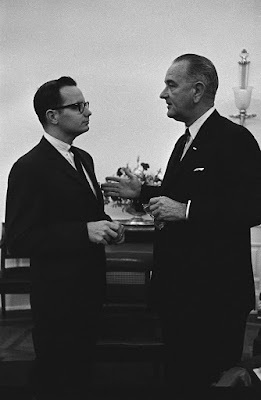 While presiding over the Establishment’s CBS News mainstream media organization between 1979 and 1982, Leonard also hired a former Johnson White House press secretary and chief of staff between late 1963 and 1967--when LBJ sent U.S. troops to the Dominican Republic and escalated U.S. military intervention in Vietnam in 1965--named Bill Moyers, to again work for the CBS commercial media conglomerate’s news department between 1981 and 1986. After leaving CBS in 1986, Moyers was mostly then seen on U.S. television hosting the programs that his U.S. power elite foundation-funded Public Affairs TV Inc. media firm produced for foundation, corporate and U.S. government-funded PBS-affiliated television stations to broadcast; and, in addition, at the same time he was the executive director of his foundation-funded media firm, Moyers also was the president of the Schumann Center for Media and Democracy Schumann Foundation and a trustee of billionaire speculator George Soros’ Open Society Institute foundations, that each dished out millions of dollars in grants to various “parallel left” alternative media groups between 1990 and 2018. Not surprisingly, the duPont-Columbia awards program jury, on which duPont-Columbia awards program director and former CBS News president Leonard sat next to former CBS News correspondent Marlene Sanders (along with folks like then-Columbia Journalism School Dean Joan Konner and then-Hearst media conglomerate president for new projects Philip Balboni), gave the former CBS News journalist that Leonard had hired to work for him in 1981 a duPont-Columbia “gold baton” award in 1992, “for the body of his work over 20 years in broadcasting,” according to a Feb. 7, 1992 Columbia Records article. And, also not surprisingly, the duPont-Columbia awards jury that awarded the executive director of Public Affairs TV Inc. a “golden baton” in 1992 was chaired by a former business partner of Moyers: then-Columbia University Journalism School Dean Joan Konner, who was the Public Affairs TV Inc. president between 1986 and 1988, before being hired as the Columbia’s journalism school dean in 1988; and, subsequently, becoming board chair of Moyers’ Schumann Foundation. After retiring as CBS News’ president in 1982 and beginning to direct the duPont-Columbia awards program in 1984 that a decade later gave a “silver baton” award to future Democracy Now! Productions president Goodman (a year after Leonard stopped directing the duPont-Columbia awards program) in 1994, Leonard was a consultant to both CBS and the National Association of Broadcasters [NAB] lobbying organization of U.S. commercial broadcasting corporations after 1982. In addition, during the 1980s he was also a board member of the corporate and foundation-funded NPR and a member of the World Press Freedom Committee’s board (during a decade in which this organization opposed UNESCO’s 1980s call for a New World Information Order and democratization of the global mass media and newsgathering system; apparently because it felt UNESCO’s call threatened the dominant position of global news agencies such as Reuters, Associated Press and AFP and the commercial interests of privately-owned global corporate media conglomerates, like CBS). In 1993, a year after Leonard’s duPont-Columbia awards program gave Bill Moyers its “golden baton” award in 1992, Moyers, not surprisingly, hosted the annual duPont-Columbia awards ceremony in Low Library in which Moyers’ former Public Affairs TV Inc. business partner Konner presented Leonard, himself, a “silver baton” duPont-Columbia award, prior to the former CBS News president’s 1993 retirement as director of the duPont awards program at Columbia. According to a Feb. 5, 1993 Columbia Record article Leonard was given his award “for his service to the awards and to broadcast journalism in a career spanning five decades” in the corporate media. Yet since 1996, Democracy Now! has not seemed eager to produce many radio or tv news show segments that critically examine how the super-rich duPont dynasty members specifically obtained their wealth, historically, and have, specifically, retained their individual wealth since 1996. One reason might be because a Columbia University School of Journalism-administered program funded by the Alfred I. duPont Awards Foundation gave the Pacifica Foundation’s WBAI station a “silver baton” Alfred I. duPont-Columbia University Award in Broadcast Journalism, for the MacArthur foundation grant-subsidized 1991 “radio documentary on East Timor” that Democracy Now! Productions president Goodman produced; which she personally accepted, at a Jan. 27, 1994 ceremony in Columbia’s Low Library, from corporate media journalist Mike Wallace of CBS News, who was the event’s MC. DuPont Awards Foundation “silver baton” awards were also distributed to the news departments and professional journalists of mainstream corporate media organizations like ABC, NBC, CNN and PBS-affiliated television stations at this same ceremony, which was broadcast nationally by PBS-affiliated stations. According to the Jan. 28, 1994 issue of Columbia Daily Spectator , “hundreds of radio and television news professionals” from the U.S. mainstream corporate media world “gathered in the rotunda of Low Library” for this annual self-promotional event to celebrate the reporting of mainly Establishment media journalists. Created in the early 1940s by Jessie Ball duPont in memory of her deceased husband, Alfred I. DuPont, the Alfred I. duPont – Columbia University Awards in Broadcast Journalism, which Columbia University’s School of Journalism has administered since 1968, is funded by the Alfred I. DuPont Awards Foundation that, in turn, receives grants from the Jessie Ball duPont Fund. For example, between July 1, 2013 and June 30, 2016, the Alfred I. duPont Awards Foundation gave Columbia University’s School of Journalism 3 grants, totalling $1,220,000, to fund the duPont awards program; and the Jessie Ball duPont Fund, whose assets exceeded $291 million in 2013, in turn, gave 3 grants, totalling $807,000, to the Alfred I. duPont Awards Foundation. And one year before Goodman was presented with her “silver baton” duPont-Columbia award, Columbia’s Graduate School of Journalism, itself, was directly given a $1.25 million gift in January 1993 by the Jessie Ball duPont Fund, to continue the Alfred I. duPont Columbia University Awards and other duPont awards program-related activities at Columbia. 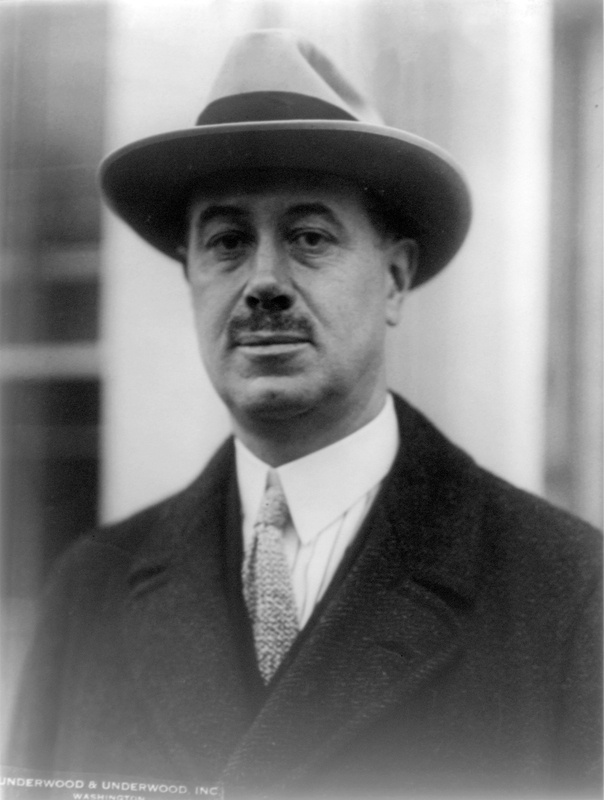 “DuPont started the St. Joe Paper Company in Port St. Joe, and his estate eventually came to own one million acres of pineland in the Florida Panhandle and south Georgia, along with 23 box plants in the United States and Europe, 31 banks in Florida, the Florida East Coast Railway, and its assorted properties. Ball bought the railroad’s bonds at 16 cents on the dollar when it was in receivership in the 1930s and gained control of it…Ball broke the railroad unions in Florida during the 1960s by provoking a strike noteworthy for its duration, violence, and lack of substantive negotiations. In 2013, the Jessie Ball duPont Fund was still earning over $3.8 million in dividends and interest from the over $101.5 million in corporate stock, over $56.1 million in corporate bonds and over $123.5 million in mutual funds shares that it owned, according to its Form 990 financial filing for 2013. The same 2013 financial filing indicated, for example, that it owned over $140,000 worth of Comcast stock, over $220,000 worth of Google stock, over $91,000 worth of Facebook stock, over $90,000 worth of Occidental Petroleum stock, over $134,000 worth of Halliburton stock, over $165,000 worth of Amazon stock, over $321,000 worth of Apple stock and over $180,000 worth of Starbuck’s stock in 2013. The Alfred I. duPont Awards Foundation, which also funded the duPont-Columbia wards program that gave its “silver baton” award to Goodman in 1994, still owned over $700,000 in corporate bonds and over $2.1 million in corporate stock in 2016, including over $5,000 worth of Chevron stock, over $5,000 worth of ExxonMobil stock, over $6,000 worth of Comcast stock, and over $6,000 worth of Northrop Grumman stock, according to its 2015 Form 990 financial filing for the period between July 1, 2015 and June 30, 2016. Yet for over 20 years, Democracy Now! accepted foundation money from U.S. power elite foundations and was mainly hosted and produced by just two professional upper middle-class journalists: Amy Goodman and a columnist of the New York Daily News mainstream newspaper (and former Philadelphia Daily News mainstream newspaper columnist), Juan Gonzalez. After forming his “non-profit” Sound Portraits media firm “so” he “could get foundation money” in 1994, Isay’s then-Brooklyn-based radio segment production firm was given a $50,000 [equivalent to over $76,000 in 2018] grant by the Chicago-based MacArthur Foundation to fund his “StoryCorps” oral history project--one year after the Carnegie Corporation of New York foundation gave Pacifica its $25,000 grant to launch Goodman’s Democracy Now! radio show. Three years later, Goodman’s former colleague at WBAI was given a $500,000 [equivalent to over $717,000 in 2018] individual MacArthur Foundation “genius grant” in 2000--payable in $100,000 chunks a year in each of the following five years. If you check out many of the left alternative media radio/tv shows, publications, websites or blogs that receive grants from the U.S. power elite’s liberal foundations, you'll notice that they rarely provide their listeners, viewers or readers with much critical news reporting or unflattering historical information about their foundation funders; and they generally also block U.S. left-wing grassroots anti-war activist viewpoints that are not within the parameters approved by the establishment liberal board members and program managers of their foundation funders from being heard on their shows, printed in their publications or featured on their websites or blogs very often. But during the last 25 years, some U.S. “parallel left” journalists and “parallel left” alternative media organizations have been funding their news operations by accepting hundreds of thousands of dollars in “charitable grants” from the tax-exempt foundations of the same U.S. power elite whose undemocratic abuses of power, crimes and immoral policies they claim to be—unlike the corporate-sponsored mainstream media—exposing and holding accountable in their “independent journalism” work and reporting. Take, for example, the foundation-sponsored Democracy Now! Productions radio-tv show which is broadcast on over 1,440 radio and television stations daily around the globe, according to the Democracy Now! Productions website. In the early 1950s--when the CIA was using the Ford Foundation to help fund a non-communist "parallel left" as a liberal Establishment alternative to an independent, anti-Establishment revolutionary left--the Pacifica Foundation was given a $150,000 [equivalent to over $1.4 million in 2018] grant in 1951 by the Ford Foundation's Fund for Education, whose “first chief was Alexander Fraser, the president of the Shell Oil Company,” according to James Ledbetter's Made Possible By… book..
“The national foundation grantseeking arena has changed enough in recent years to make activity in this arena potentially worthwhile--for organizations prepared to be players and partners in the same field as NPR…Foundation fundraising at this level has extraordinary payoffs... It also requires `venture capital visits' to the foundations to open doors and conversations that lead to partnerships. “Seek Development Committee leadership in planning for Foundation grantseeking. “Pursue 3 `anchor' grants to acquire funding beginning in FY'93 from the Big 3 foundations we've already begun to work with. By 1995, billionaire speculator George Soros' Open Society Institute foundation had given the Pacifica Foundation’s KPFA radio station in Berkeley, California a $40,000 [equivalent to over $64,000 in 2018] grant. And in 1996, the Carnegie Corporation of New York foundation gave Pacifica a $25,000 [equivalent to over $40,000 in 2018] grant to launch a daily radio news show, Democracy Now!, hosted and produced by long-time WBAI Evening News producer Amy Goodman, that was initially broadcast from Pacifica’s New York City area WBAI radio station in Manhattan on February 19, 1996. Sitting on the board of trustees of the Carnegie Corporation of New York (whose assets had increased to $3.3 billion by 2017) in 1996, when it provided Democracy Now! with its initial foundation funding, were U.S. power elite-connected Establishment folks like then-Chevron board member and future Bush II administration National Security Advisor and U.S. Secretary of State Condoleezza Rice, the managing editor of the Time Warner mainstream media conglomerate’s Time magazine, Henry Muller, and the multi-millionaire wife of then-U.S. Senator and future 2004 Democratic presidential candidate and Obama administration Secretary of State John Kerry, Teresa Heinz.